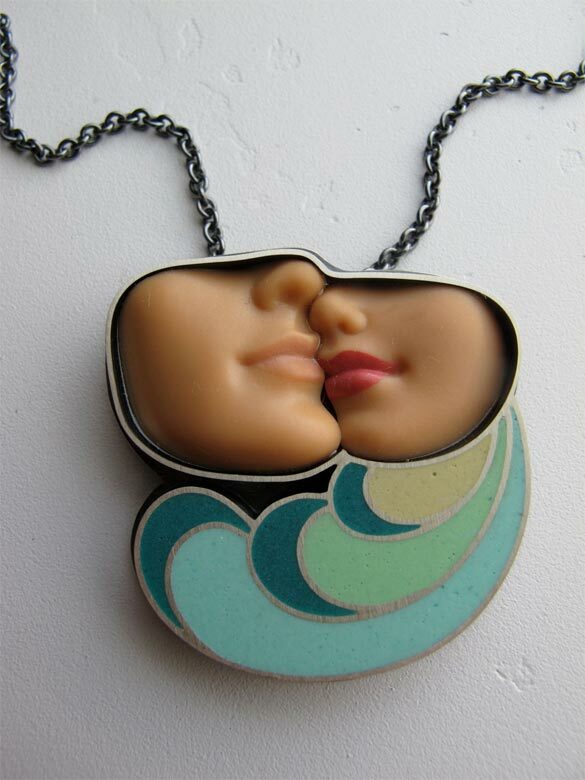 Bright spring colors, nearly floral patterns, and… cut out portions of Barbie dolls… converge in Brooklyn artist Margaux Lange‘s line of bizarre art jewelry. Dismembered arms of Barbie dolls form sun-like bursts, Barbie breasts are framed with silver hearts, and Barbie mouths are paired with colors that would be great for mod fashion. The strangely delicate but obviously bizarre pieces are absolutely perfect for the slightly eccentric jewelry-wearer.